Following in the My Little Pony tradition of heartwarming tales of adventure, magical characters, colourful worlds and humour for all ages. The MY LITTLE PONY:THE MOVIE, was released on 6 October 2017. In the movie, the ponies face off against their biggest villain yet, the evil Storm King who is determined to steal all the magic from the kingdom of Equestria. It is up to the Mane Six to stop him and take back their beloved home. 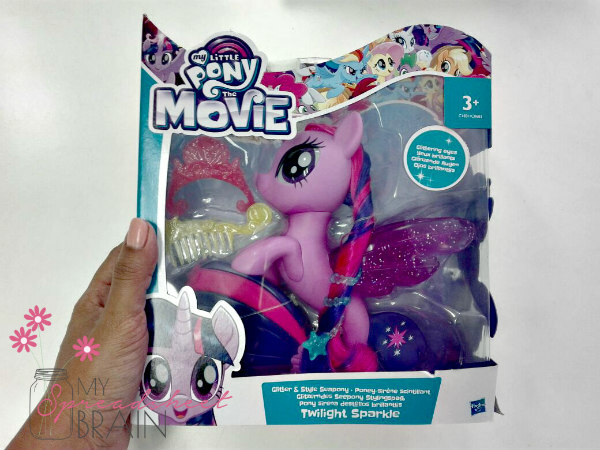 The fun doesn’t end with the movie – Hasbro has launched a MY LITTLE PONY: THE MOVIE inspired range of characters and play sets, now available in South Africa. Kari’s favorite pony is Twilight Sparkle, so I am so chuffed to give her one of the My Little Pony seapony figures. Each 6-inch seapony figure has a beautiful mermaid-like tail and her signature cutie mark on her back fin. Her eyes and wings are detailed with glitter for extra under-the- sea sparkle. There’s a lot more family fun time to be had with the introduction of Hasbro’s latest games; Toilet Trouble and Fantastic Gymnastics. (I chatted about Fantastic Gymnastics in this post). This Toilet Trouble game is hilarious! True to its name Toilet Trouble produces some hilarious and suspense-filled moments as players take turns spinning the toilet paper roll, flushing the toilet handle, and hoping, this round, they don’t get sprayed with water. The number that turns up on the paper roll spinner indicates how many times each player must flush. Players are safe if they hear the flushing sound, but no water is sprayed. 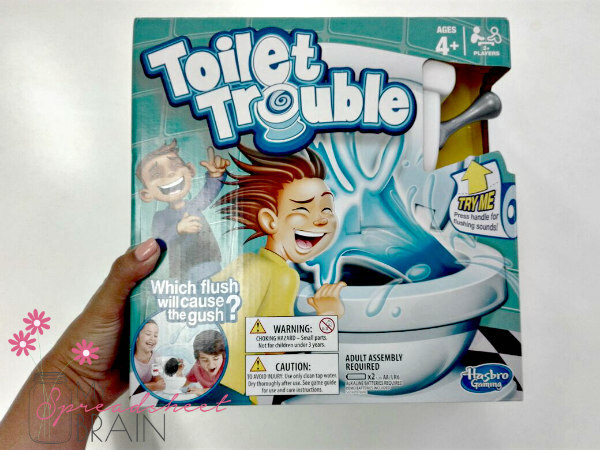 Suitable for ages four and up, Toilet Trouble is fun for two or more players, keeping the kids (and adults) entertained for hours. Watch the Toilet Trouble game in action here. Monopoly is back with the next generation game featuring the newly launched token set. Over 4.3 million fans, from around the globe, voted to keep their favorite tokens on board. The eight tokens set to carry on “Passing Go” in the new set include: the Scottie dog, top hat, car, battleship, cat, T-Rex, rubber ducky and the penguin. 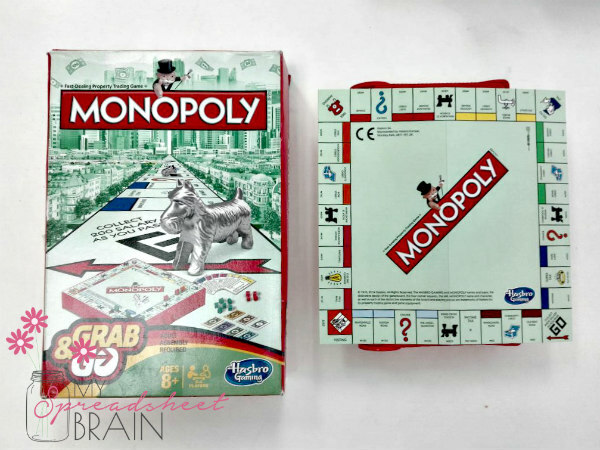 Monopoly Gamer is the Monopoly edition with a Nintendo twist. Instead of standard Monopoly tokens the game features Super Mario characters each with its own special powers within gameplay. Still a firm family favourite, Monopoly Mzansi, featuring 22 local locations, makes a perfect gift for the festive season. A definite must have for travellers, Monopoly Mzansi provides an opportunity for family and friends to come together and enjoy some quality time, Mzansi style. 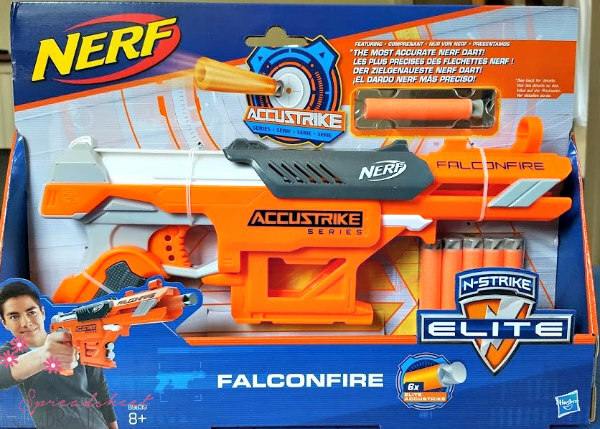 The Nerf N-Strike Elite Raptor Strike blaster is part of the AccuStrike Series, which features darts designed for greater accuracy. If your kids are gamers, like mine are, Nerf Blasters make for a fun reason to get them playing outdoors! The Elite Accustrike foam darts, with its twisted flat tip moulding, helps the bullet to stay straight when travelling through the air. The bolt-action blaster comes with an extendable bipod to stabilise shots, perfect for stealth battles with your friends. The 2 six-dart clips and 18 darts includes ensures battlers will stay stocked for their Nerf fights. The blaster comes complete with a pop-up sight for targeting. So what do you guys think? Spot anything that your kid would love for Christmas? More importantly, which of these will give you the much needed “street cred”? You can pick any of these up at Toys R Us, ToyZone, Toy Kingdom, Hamleys, Lilliputs and other major retailers. You can also shop online at Takealot.com. Visit the Hasbro website for more.